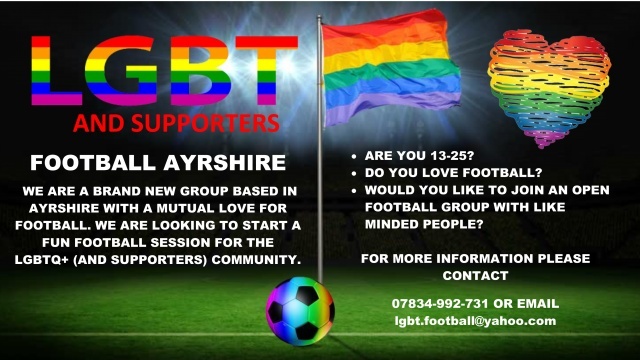 A group of LGBT young people in North Ayrshire have started a new inclusive mixed recreational football group. The group wanted to set up an opportunity where they could enjoy football in an environment where their gender identity and sexual orientation wasn't important, and where they could simply play for fun. With the support of their local sports club and football coach, they have sown the seeds for the start of this exciting new initiative. LEAP Sports is supporting the group and looks forward to working with them as their group grows and develops. Written on 23rd August 2017.